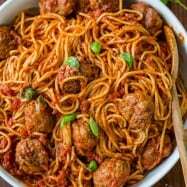 Homemade sausage is a great way to use less expensive cuts of meat to make something delicious, and homemade is best because you know exactly what went into it! We grew up eating homemade sausages and my Mother taught me how to make this classic Russian kolbasa (kielbasa). This generations old sausage method combines ground and diced meats for a more rustic and hearty sausage. 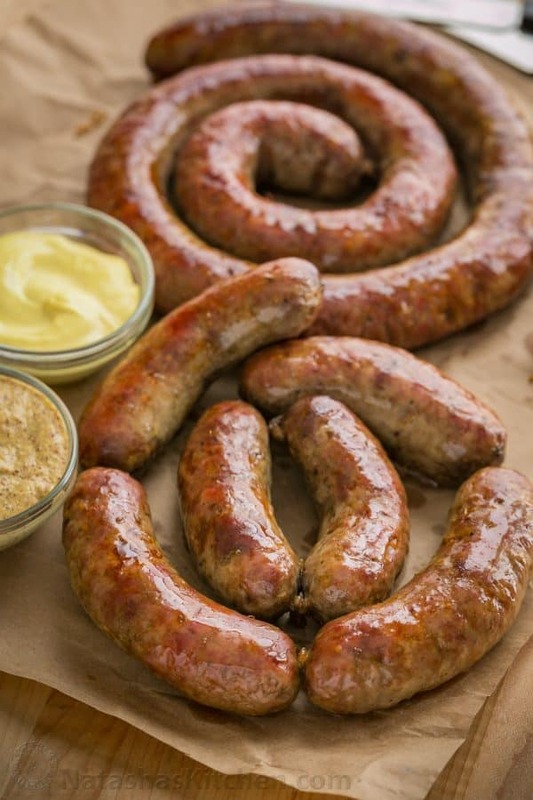 Watch the video tutorial on how to make homemade sausage and you will be a pro in no time! 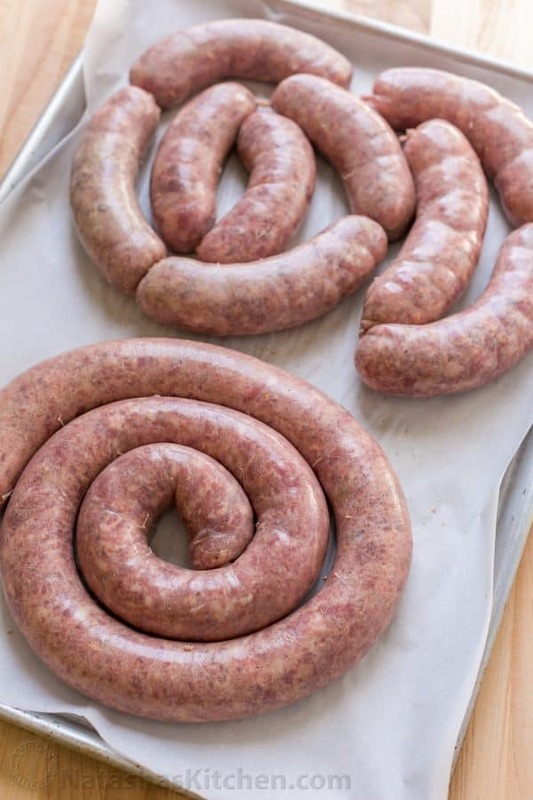 When making sausage, the more fat you can get in your meat, the better. 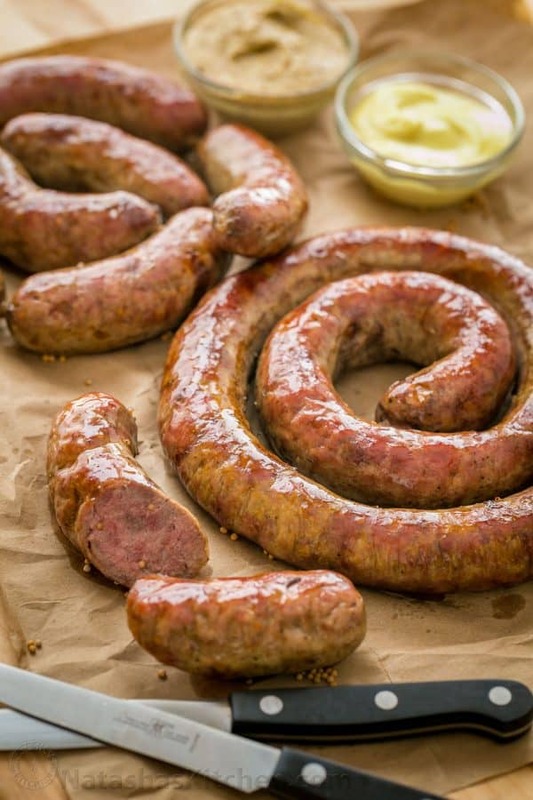 If you are using a leaner beef or pork, add bacon so you don’t end up with a tough/dry sausage. It is absolutely key to have your meat very cold and grinder parts chilled. The process will be way easier if you take this advise, otherwise it can back up in the meat grinder and leave you frustrated and discouraged (been there, done that!). *I used boneless country style ribs. Any pork cut wth a lot of fat would work well. *Use a well marbled beef with higher fat content. This beef bottom round was on the leaner side so I added the bacon. **Casings can be purchased online or at your local butcher. Leftover salted casings can be resealed in their bag and stored in the refrigerator for many years. Line a large rimmed baking dish or roasting pan with parchment paper, trimming paper so it doesn’t hang over the edges. Arrange sausage over paper and bake in preheated oven at 350˚F for 1 hour. Drain off excess liquid. Flip the sausage over and broil 5 min. Flip sausage over again and broil additional 5 min or until browned. For Easter, my husband grilled the sausage and we put them in a deep roasting pan in a single layer, poured in 1/4″ deep of beer and sprinkled 1 tsp mustard seeds into the liquid. My husband placed the pans on the grill covered for 20 minutes over medium/high heat, flipping over halfway. Then he removed the pans and transferred the sausage directly over the grill to brown the outsides (5 min per side). The sausages were supremely juicy and delicious! Place meats on a baking sheet, cover with plastic wrap and freeze 1 1/2 hours. Should be very firm, not frozen solid. Place all meat grinder parts in freezer and refrigerate mixing bowl at least 30 min prior to using. Rinse casing well to remove salt and run warm water all the way through the casing. Let casing soak in warm water (90˚F water) for at least 1 hour or until soft and slick. Keep casings in water until ready to use. Remove 1/3 of meat from the freezer, dice into 1/4 thick pieces with a sharp knife and transfer to your chilled mixing bowl. 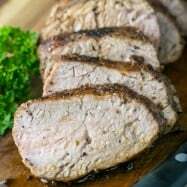 Chop remaining meat into 2" pieces so that it can easily go through the meat grinder. 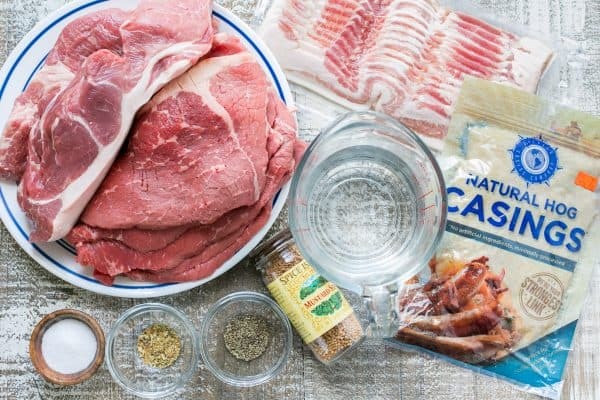 Set up your meat grinder (if using KitchenAid mixer, set to speed 4 using the large holes grinding plate) and grind meat into chilled bowl then grind bacon. Sprinkle seasonings over meat and toss by hand 30 seconds to distribute then add 1 cup water and mix meat by hand for 1 minute (or with paddle attachment on speed 1 for 1 minute), just until a light film forms on the outside of the bowl and the mixture binds to itself and can hold a patty shape. Cover and refrigerate your sausage mixture while you clean your grinder and set up your sausage maker attachment. Seasoning Tip: To test your meat for seasoning, form a small patty and saute it on a skillet to sample. Lightly oil the outside of your sausage tube attachment and thread 1 sausage casing over the tube leaving a 6" tail hanging off the end. Do not tie the end - you want the initial air that comes through to escape. 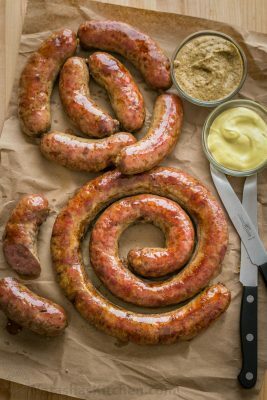 Pinch, twist and spin to make small sausage links or coil the sausage for the classic kielbasa look. Tie off the ends or tie with kitchen string if desired. Prick with sausage poker about every 2 inches, especially where you see air pockets, to prevent the sausage from bursting. 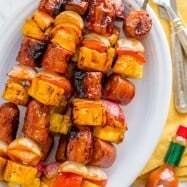 Sausage can be baked, grilled or sautéed right away or can be refrigerated or frozen for later. Keeps well in refrigerator for 3-5 days or frozen up to 3 months. 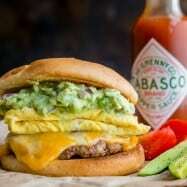 *Important: Use meat with high fat content. Bacon should be added if your meat is leaner. ***If meat starts looking pink/pasty as it enters the casing tube, it's likely clogged and you should quickly clean your grinder before proceeding Grind the bacon last (if using) - this is less likely to occur if using well chilled meat. Are you into sausage making? I’m kind of on a roll! It’s a little addicting once you start feeling like a sausage ninja. We have kielbasa in the fridge and freezer and I’m dreaming about what variety to make next. Please share your favorite flavors in a comment below – I would love to hear YOUR ideas! I have tried to make the sausage 3 times now cutting down the cooking time to 30 min at 350 deg. each time they have come out dry and over cook the 1st time we couldn’t even eat them, 2nd time cut to 45 min and they were eatable but were not that good I just did it a 3rd time and they are still dry and over cooked, very disappointed but still willing to try again. What am I doing wrong? Hi Natasha I made the sausages few days ago, turned out fantastic, but for some reason casings popped while baking do you know why that happened? P.S I poked sausages prior baking. We are on a dairy farm in northern Sweden just a few hours from the Arctic Circle. After watching your video, we want to make the sausage (we have all the meat on the farm) but we have a Bosch mixer with the meat grinder attachment and sausage making accessories. How do we know what size die to use to get the same look on the inside of the sausage that we are seeing in the video? We have tried to do this in the past but it comes out too coarse. Natasha, I am trying to find whole mustard seeds but no luck. Could I use the powder instead and how much? Also that mustard spread is amazzzzing! I add it to our store bought 🙁 sausages.. But now I’m thinking to make it with mom maybe….. we don’t eat pork ever, just not used to the taste. Are there any substitutions that turn out great still? like chicken maybe? Hi, Natasha. 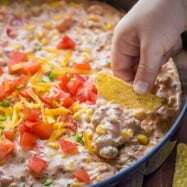 I just wanted to say thank you for posting this recipe. I am very excited because it looks just like home made sausage my grandma used to make for Easter and I never thought I would be able to recreate that! 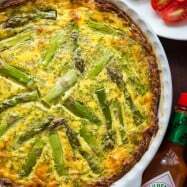 I love your recipes and check your website every couple days for what’s next ;). Natasha, you mind reader, you! What perfect timing… I have been looking for some recipes for old school kovbasa like we used to eat back in Ukraine without any nitrates and other junk added, unfortunately with little luck. Shockingly, even “our people” are adding chemical preservatives to their homemade sausage. NOT something I’m comfortable feeding my children.